There are many very real problems in the world today, life and death issues. There are many cases where people deserve to be heard, they deserve justice, and they should be compensated. Then, there is the case of two people from Florida who have decided that they are upset and offended at the cheese on their McDonald’s Quarter Pounders. They are upset that they had been forced to pay for cheese that they did not want on their Quarter Pounders and Double Quarter Pounders. They believe that they had to pay an extra 30 to 90 cents for the cheese and they had to ask that it be taken off their burgers. They are filing a class action lawsuit on behalf of themselves and others. 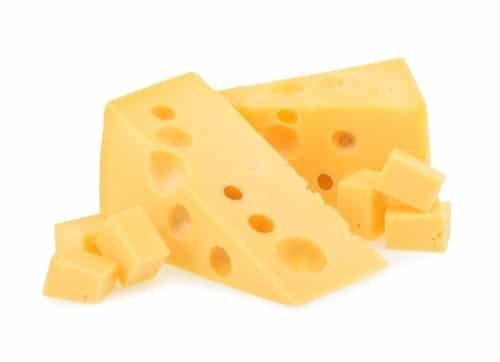 The plaintiffs in the case, Leonard Werner and Cynthia Kissner, said that they have been forced to remove their own slices of cheese in the past when they had gone to McDonald’s. They also say that there is no option to have an option without cheese without needing to pay for the cheese and expressly asking them to keep it off the burger. They go on to claim that this means the company is breaking antitrust laws. They are creating a legal arrangement, and that their practice is misleading and deceptive, not to mention unfair. The lawsuit says that there is no option to pay for a burger without the cheese, and customers are being charged for something that they do not want and are not getting. When you look at the basics of the case like this, there could be some merit to the case, but it remains to be seen exactly what is going to happen. McDonald’s, naturally, believes that the claims that are being made do not have any merit because the Quarter Pounder is advertised as coming with cheese. They say that they try to accommodate orders and will remove the cheese, but the price is going to be the same because of what was advertised. It was the customer’s choice to have the cheese removed. The company also went on to say that the franchisees who sell the items choose their own prices based on market competition. The lawsuit, however, points out that through the McDonald’s app, and through delivery services, it is possible to get these burgers without cheese at a lower price. The suit has even gone back to look at the original trademark for the burger, which did not include cheese. McDonald’s, as you are probably well aware, is no stranger to lawsuits. They have had suits that were frivolous, and legitimate suits, such as the hot coffee case, that they have had to weather over the years. It is quite likely that they will be fully capable of weathering “Cheese-Gate”. However, that does not necessarily mean that they are going to win the case. It will certainly be interesting to see how it all plays out.